Apple are offering 'Angry Birds Space' by Rovio as their Free App of the week. 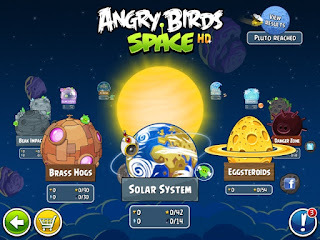 'Angry Birds Space' is the fifth instalment of the slingshot based puzzle games, set in space you are invited to try to remove the bad piggies who have stolen the birds eggs. In the event that you've not come across any of the other Angry Birds games (which happens to be the biggest freemium game of all time) you are given a slingshot and a variety of birds to act as ammunition, each with their own special abilities. 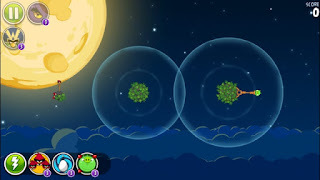 Your task is to get the right angle and power to destroy the bad piggies, sometimes smashing makeshift structures to help you with your endeavours. 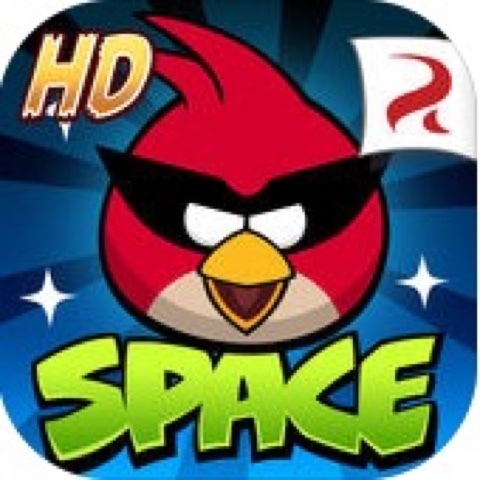 'Angry Birds Space' adds the element of gravity to previous games, which means that you'll need to factor in curvature in your shots. Since I initially downloaded the game back in 2012, I think Rovio have added a number of support birds that can be bought in-game. I'm always dubious of using in-app purchases, as I enjoy getting good value for money. Some of the birds do have good abilities, such as creating their own gravity field to catch the enemy pigs so I'll use the free initial allowance sparingly. In my brief time playing 'Angry Birds Space', I haven't found a way of linking an account across my iPhone and iPad which is a shame as I'd like to be able to make the most of my progress no matter what device I'm using. 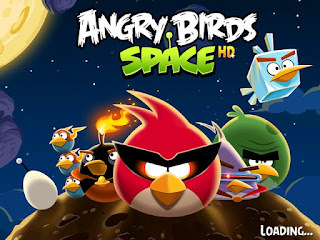 I know that the game is very similar to its predecessors, but I do enjoy Angry Birds Space as it builds on what the original does well and is a worthy addition to the franchise. Some of the other games feel like they have crowbarred franchises on to the basic game, but I do find myself drawn back to the earlier games. I always consider if my little boy would enjoy the Free App Of The Week, and I think he will enjoy Angry Birds Space, but he may need another couple of months before he enjoys it.